Many of our users may not be familiar with what exactly an identity theft protection service actually does, and so it can often be hard to know what to look out for when picking the perfect service for you. We hope that this “buyers guide”, coupled with our trademark extensive reviews, will help you make a truly informed decision about which service to choose. The following will give you the low-down on what ID Theft Protection services actually are, what they do (and what they don’t do! ), how they do it all, and what special features you should expect to encounter when you are checking out the different services on offer. What do ID Theft Protection services actually do? ID Theft Protection services are intended to protect their members against the harmful effects of identity theft (and the associated fraudulent activities) so that they can be sure that all of their personal data is safe. 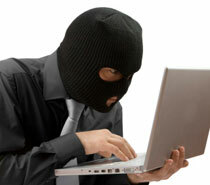 This sort of service has become extremely popular in the US, especially as awareness of identity theft has increased. There are many ways that a criminal could access your data and then use what they have found to damage your financial standing or ruin your reputation. ID Theft Protection services are designed not just to warn you when a potential theft is about to occur (and take steps to stop it happening), but also close down the ways in which fraudsters can get hold of your information in the first place. Every service purports to provide their service in a slightly different way, but essentially, all services necessarily follow much the same basic pattern. Once users have signed up, they provide the ID Theft Protection service with their sensitive information (social security number, address, full name, date of birth etc.) for safe storage in customer records. The company then monitors your data, and whenever your data is detected as being used to apply for credit services (or other similar financial products) you are contacted. This means that you can then let the ID protection service know if it is a genuine application (i.e. one you have yourself instigated) or a fraudulent application. If the application is fraudulent, your ID protection service then begins the relevant processes to stop the transaction or application (by informing the company that is providing the credit) and then informing the relevant authorities of the fraudulent activity. It really is that simple! We have picked out a few additional, important things for you to take note of when you are deciding which service to choose. While this one may sound a little like common sense, we think it’s so important, it’s definitely worth a mention. There’s little point protecting your identity by employing the services of an ID Theft Protection service, and then giving all of your sensitive data to a company that is going to be reckless about its security. Look out for services that are security conscious – it should be obvious from their advertising (and we always highlight this in our reviews). The best companies will employ data security firms to check their security systems (both online and offline) every day or week, and use the latest security techniques (such as biometric on-site security access, and a variety of other security techniques such as management methods for example). While every service will offer a different method for securing your data, we feel it should always be the first priority of an ID Theft Protection service. Every service is, of course, a different price! Our highest rated site, however, is around $10 per month, so we would advise you use this price as a guide when choosing which service to subscribe to. We also advise that you check what is included in the price – some services cover your family and children too (see later in this guide), so check whether this is included in the monthly fee. Also, many sites offer additional services that are not included in the price, so work out what your actual monthly cost is going to be when you factor in any extra features that you would like to take advantage of. Some of the sites we review offer additional family and child protection as an extra service. Family protection adds your spouse to your existing protection service (which makes a lot of sense, as you will probably share much of the same sensitive information). Child protection is a very important consideration too. ID theft and subsequent credit fraud associated with children is a major problem in the US, and it is growing every day. The main problem with fraudulent activity relating to a child’s identity is that it is extremely difficult to detect in the early stages. It is often only when your child applies for credit in his or her own right (such as a college loan, for example), that they realize their identity had been stolen and fraudulently used for many years. Most services offer the same service as they do for adults at a reduced child rate (provided at least one adult is registered with the service), so we do think it’s worth giving this a lot of thought. Look out for companies that offer a range of additional services on top of the regular ID theft protection service. Many companies offer a kind of “wallet or purse protection” which helps you manage your finances, and get everything back on track in the event of a lost or stolen wallet. Many sites will offer a guarantee that if, in the event of your data being fraudulently accessed whilst being a member of the service, they will get you back on track by employing lawyers, financiers, accountants and more to clear your name and your financial record. These services are, in the most part, what makes these services more than simple credit monitoring services, but a real ID theft protection system that ensures your data (and identity) is safe. One thing to consider is that if, for whatever reason, you wish to leave the service you are subscribed to, you will have to pay a cancellation fee or whether you will be eligible for a refund. Some services will refund the months you have pre-paid but not used, while others will not. Some services have a minimum term for cancellations (such as 3 months notice, for example), and so it’s important to check exactly what the conditions are for cancellation of the service. Of course, you also need to make sure that when you do leave the service, your information is disposed of correctly according to industry standards. It is extremely important that if you need to talk to someone about your service, you can get in touch easily. Look for sites that allow users to call the service directly using a direct telephone line (preferably one that is free of charge!) and that gets in touch with you, straight away, through a variety of different methods if something goes wrong. We think it’s important to be aware that you trust your ID Theft Protection service with some of your most valuable data, so you need to be confident that they will safe-guard everything you entrust with them. Choose a service that is value for money, but also employs adequate safety and security measures in order to keep your information safe. Look out for all of the additional features that are on offer, and check out user testimonials online to see what existing customers think of the service they have received.